Day 4 - Destination unkonwn. Tried to find a campground but they were either full or too expensive. 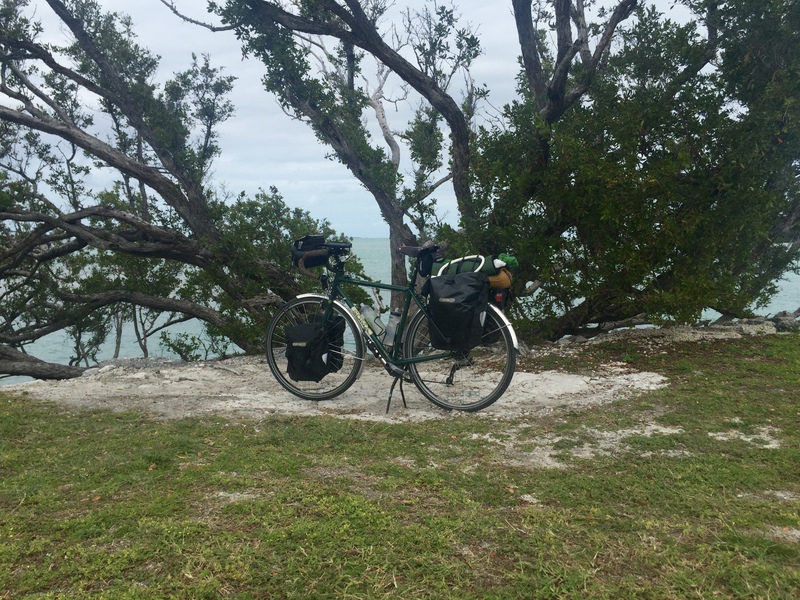 Tried to find a place to wild camp but did not want to try camping in the Key Deer wildlife refuge. Ended up at the Big Pine motel. At least there is wifi. Another perfect day for riding. Mostly cloudy with a good tailwind. Met two couples on Co-Motion tandems from Ohio heading north. Met a couple from Canada going south packed very lightly for motel camping. Not so much nice bike path today. 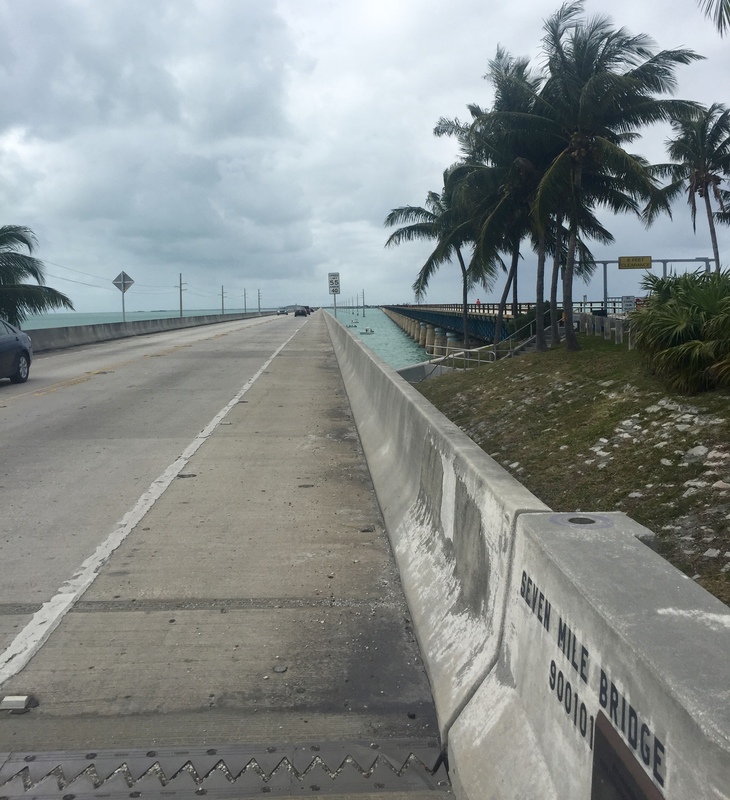 Seven mile bridge was quite intimidating, but with the tailwind went by very quickly. Seening the old bridge right next to it was a tease. 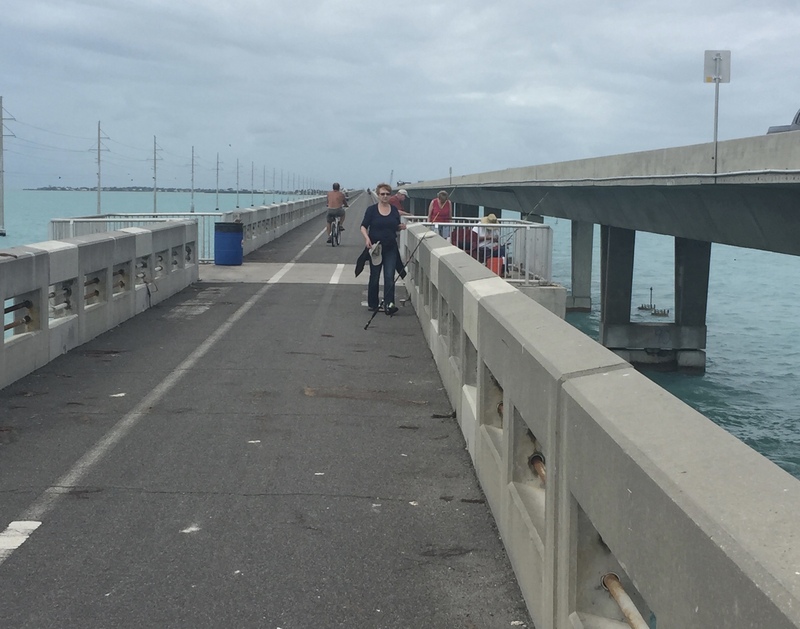 I hope the complete the bike path on the old bridge someday. Further south there was a bike path crossing a lot of old bridges, but they were all closed. I was told they were open just two years ago. Fell into disrepair I guess. Rode through Marathon today which I guess is the biggest town before Key West. Even has an airport with small jets. Big Pine is fair sized as well. Wherever the sandbar is wide enough it becomes a city. Most of what I rode through today was barely wider than the road. 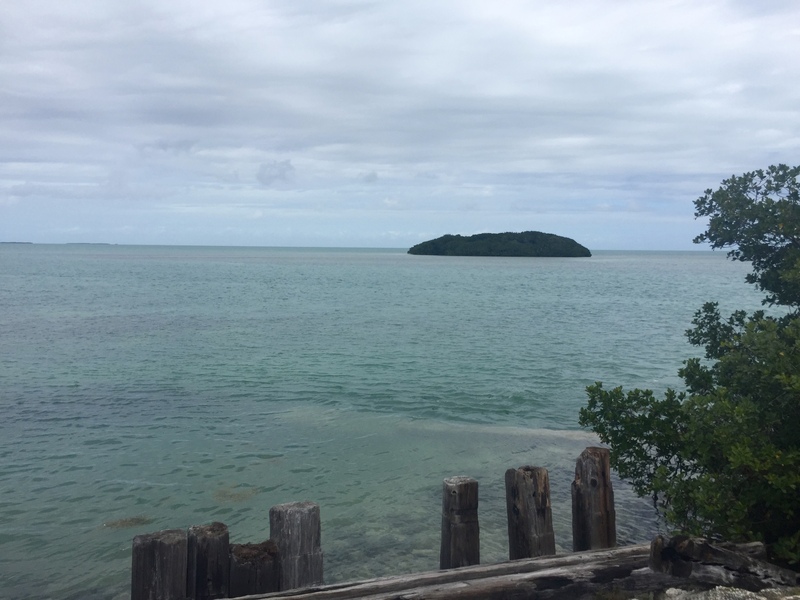 Stressed about where I will stay in Key West as none of the Warm Showers hosts replied. Motels are in the $250 range. I booked a bunk in the hostel. I would much rather camp but could not find a spot. Tent camping is $60 in that area, with few ammenities. Oh how I long for the Oregon State Park hiker/biker sites. 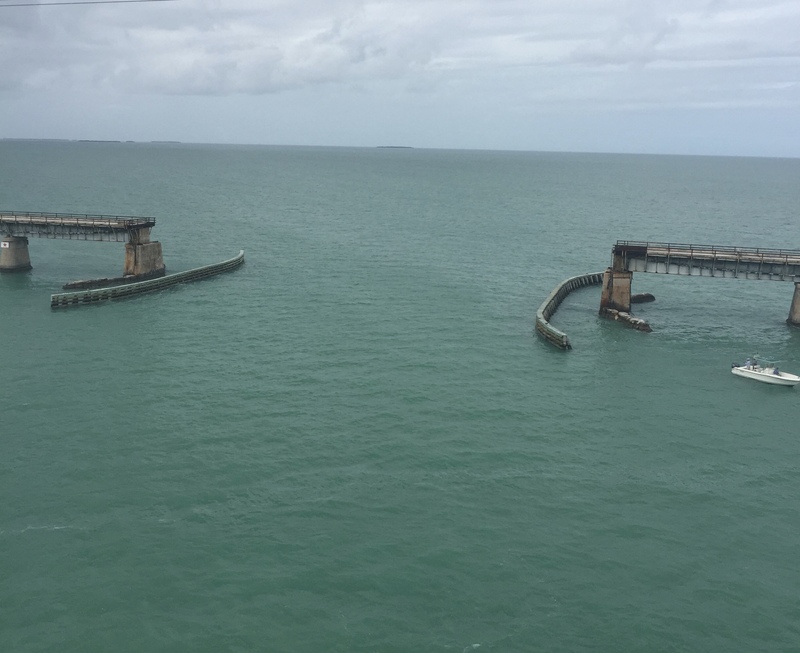 Seven Mile Bridge. If you look in the distance you can see where it rises up like a real bridge. Other than that it is flat abive the water. This is the bridge I wanted to be on. It was several miles out before the dead end. When the bridges did go thought they were crowded with fisher people. Very impressive how many people fish in Florida. 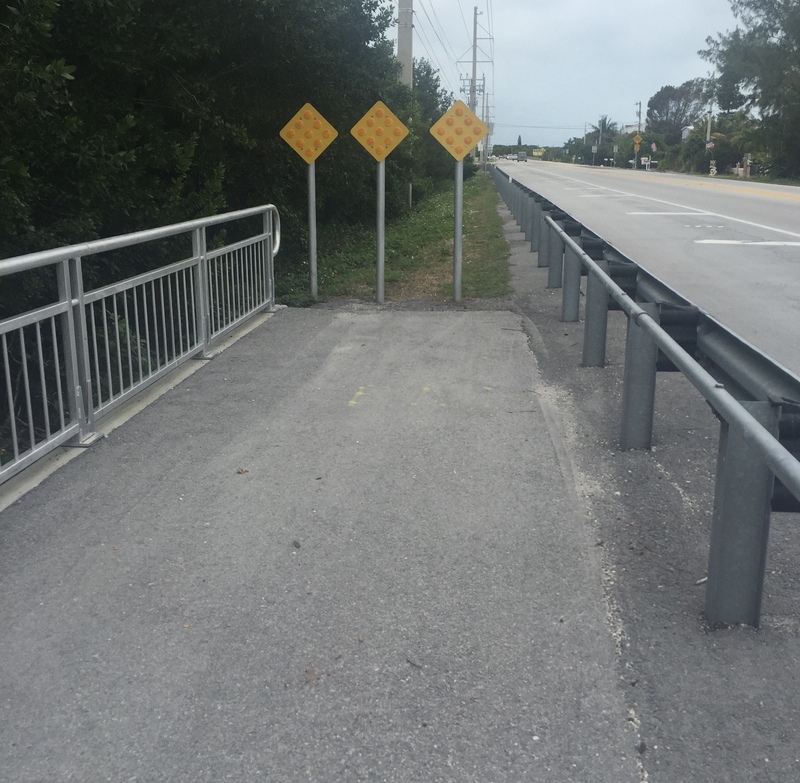 Typical Florida bike trail. They would start and end with no warning or cross from one side of the highway to othe other with no warning. They are trying though as the paths are great in a lot of places. Looking out over the Gulf of Mexico.